The initiative, known as a press statement, expressed regret over Israel’s decision to suspend a mandate of international observers stationed in the Biblical city of Hebron to protect Palestinians there. 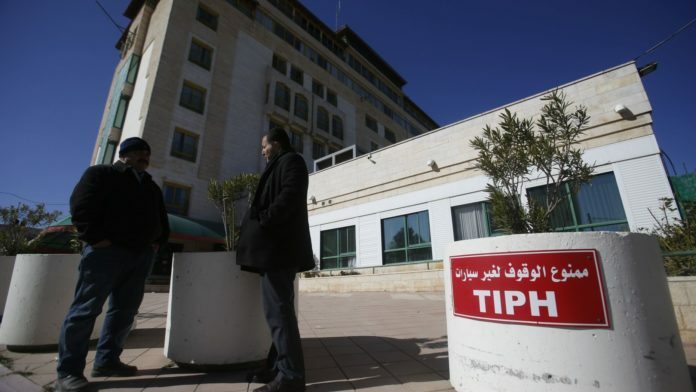 The Temporary International Presence in Hebron, or TIPH, has been in the West Bank city since 1997 and has long faced criticism it is biased against Israel. A Security Council diplomat confirmed to Fox News that, “the U.S. did not think a press statement was appropriate.” A Security Council press statement needs the consensus of all 15 members, and while not legally binding it does show council unity on any given subject. The observer force came into being in 1994 following the murder of 29 Muslim worshippers at the hands of a Jewish extremist, Baruch Goldstein at a site holy to both Jews and Muslims. The United Nations Security Council passed a resolution following the massacre. Danny Danon, Israel’s ambassador to the United Nations, said in a statement that the international force has harmed Israel. Yishai Fleisher, the international spokesman for the Jewish community of Hebron, told Fox News that for the past 22 years TIPH never brought peace to Hebron and complained about their actions and bias against his community. “They were found to strike Jewish children on video, puncture Jewish Israeli tires, and also, in general, have a very, very chummy relationship with the Palestinian Authority and the Palestinian narrative,” he said. Hebron has often been the place of tension between Israelis and Palestinians. Among the nearly 1,000 population of Jewish settlers living in the city, some are considered hardliners and have been accused of provoking attacks against Palestinians. The Palestinian population of Hebron is more than 200,000 vs. the 10,000 Jewish population in the surrounding area.